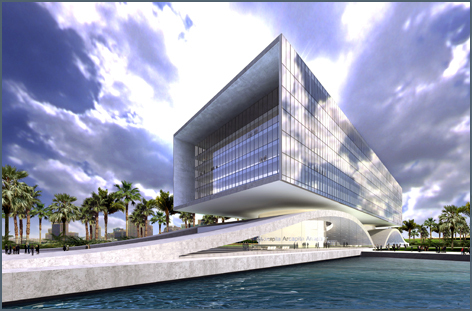 Description: As a part on the Bahrain Business Bay off the coast of Manama, the Arcapita Site serves as 1 of 2 iconic features for the islands. 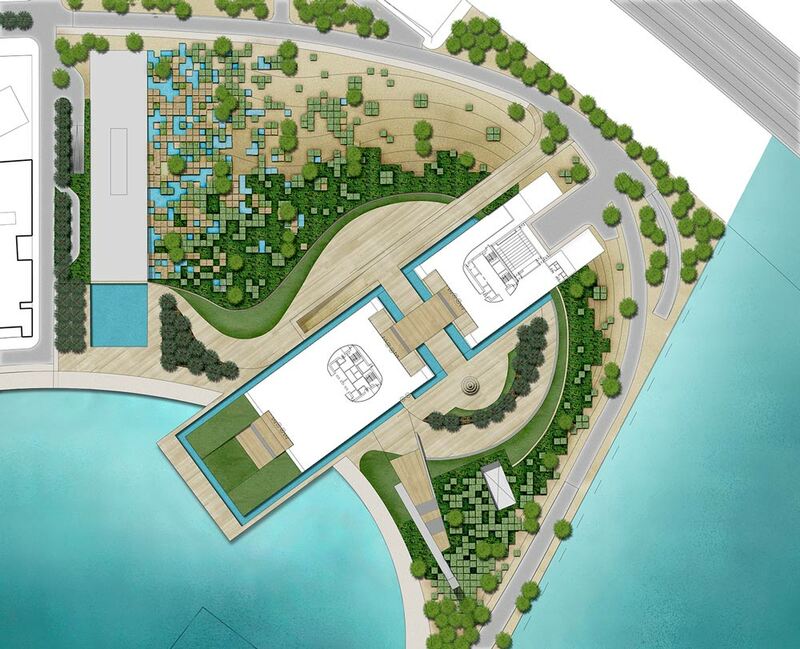 The site of Arcapita serves as an artistic framework for a strong architectural gesture. This environmental art can be experienced both within building and at a pedestrian level, as the pattern forms spaces of intimate gathering near the building. As a move to connect the landscape with the built form, a pattern was deconstructed from the vertical building facade and reformed in the horizontal exterior plane. This pattern, or parterre, is composed of planting and hardscape elements that recall the rich history of patterning and geometry that is prevalent in Islamic architecture. The parterres provide visual interest as environmental art from within the building, and, are arranged in a way that accommodates circulation from within the landscape. The parterre will change scale and distinction from the individual to a grouping. This change is driven by the fundamentals of fractal geometry and movement away from the building. As the pattern diminishes away from the building, the parterre becomes immersed in a field of low grasses, which will contrast in texture. The Arcapita landscape utilizes semi-arid plantings coupled with areas of hardscape and decomposed granite to shape the client’s vision of a landscape that is sympathetic of the regional desert landscape and water conservation. site within the Bahrain Business Bay. Eric Lennox was a lead designer on this project while at EDAW.